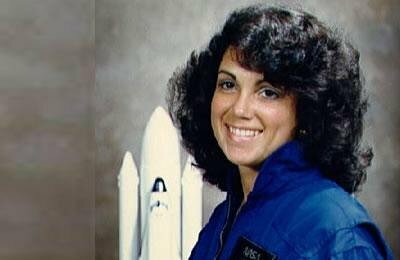 Judith Arlene Resnik (April 5, 1949 – January 28, 1986) was an American engineer and a NASA astronaut who died when the Space Shuttle Challenger was destroyed during the launch of mission STS-51-L. Resnik was the second American female astronaut, logging 145 hours in orbit. Resnik was born in 1949 to Sarah and Marvin, an optometrist, in Akron, Ohio. Both her parents were Jewish immigrants from Ukraine. A graduate of Firestone High School in 1966, she excelled in mathematics and played classical piano. While at Firestone she achieved a perfect SAT score, the only female to do so that year. She received a B.S. in electrical engineering from Pittsburgh’s Carnegie Mellon University in 1970. In 1977 she earned a Ph.D. in electrical engineering at the University of Maryland. Upon graduation from Carnegie Mellon, Resnik was employed at RCA as a design engineer, and later worked with various NASA projects contracted to the company. While working toward her doctorate, Resnik was affiliated with the National Institutes of Health as a biomedical engineer. Later, she was a systems engineer with Xerox Corporation. Resnik was recruited into the astronaut program January 1978 by actress Nichelle Nichols, who was working as a recruiter for NASA. Her first space flight was as a mission specialist on the maiden voyage of Discovery, from August to September 1984. She was likewise a mission specialist aboard Challenger for STS-51-L. She was the first American Jewish astronaut to go into space, the first Jewish woman to go to space. Resnik has been awarded multiple posthumous honors, and has been honored with landmarks and buildings being named for her. The IEEE Judith A. Resnik Award was established in 1986 by the Institute of Electrical and Electronics Engineers and is presented annually to an individual or team in recognition of outstanding contributions to space engineering in areas of relevance to the IEEE. On February 23, 2010, Resnik was named one of ten finalists to represent Ohio in the National Statuary Hall in the U.S. Capitol in Washington, D.C.